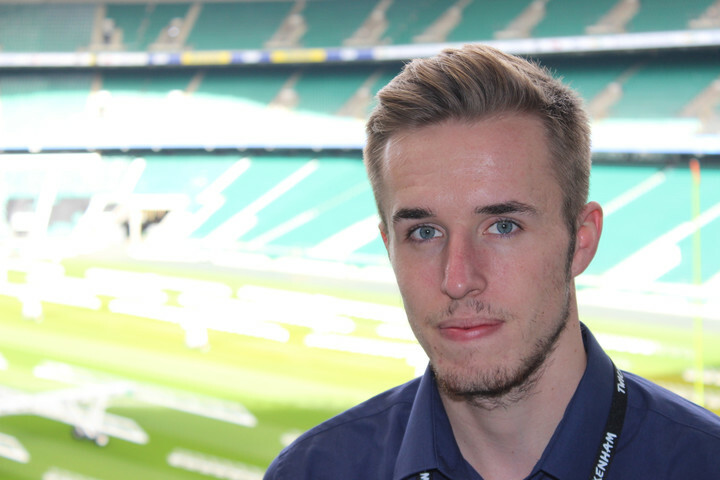 Ryan Crawte joined the Twickenham team back in October last year, taking a year out in industry before returning to finish his final year at Bournemouth University to study Sports Management. Before he leaves we've asked him a few questions about his time at the stadium and some expert advice to other students considering a placement year. My placement has been focused on supporting the sales and marketing teams for the conference and events side of the business. This role has been extremely varied from managing the contracts and payments for events to weekly sales reporting and managing the small meeting bookings from start to finish. For the marketing side of the role I have helped to grow Twickenham's online presence on different social media platforms, while also managing all third party sites Twickenham is featured on. What has been your best memory at Twickenham? I thoroughly enjoyed working at one of the NFL match days we had last October. Many a time I have visited a stadium as a sports fan, but never have I seen how things are run operationally, away from the action on the pitch. I spent the day assisting with the Twickenham social media and found it really insightful. What's the most valuable thing you've learned? Time management has definitely been a big factor I have learned during my time at Twickenham. There is always so much going on at Twickenham every day and of course you want to be involved in as much as possible, but to do this you need to manage your time effectively. I definitely feel that I have grown in confidence working at Twickenham and will take a lot away with me back for my final year at Uni. Have you got a favourite space? I would say my favourite space is definitely The Spirit Of Rugby, I love the uniqueness of it and the built in LED lights which can help change the atmosphere to suit whatever is best for the event. I am gutted that I will not be around to see the launch of the new East Stand development, because there are some fantastic spaces which are going to become available to Twickenham Stadium. I'll definitely be back for the launch at the end of the year! Any advice for students who are considering a placement? There is not a doubt in my mind that anyone who has the opportunity to do a placement, 100% should! The experience you gain and the things you learn are so different to what is taught in university and I think it's a great stepping stone between studying at uni and graduating to go into a full time job. I believe it can also really help you to decide what you would like to do in the future as it opens your eyes to different roles and how they work day to day.